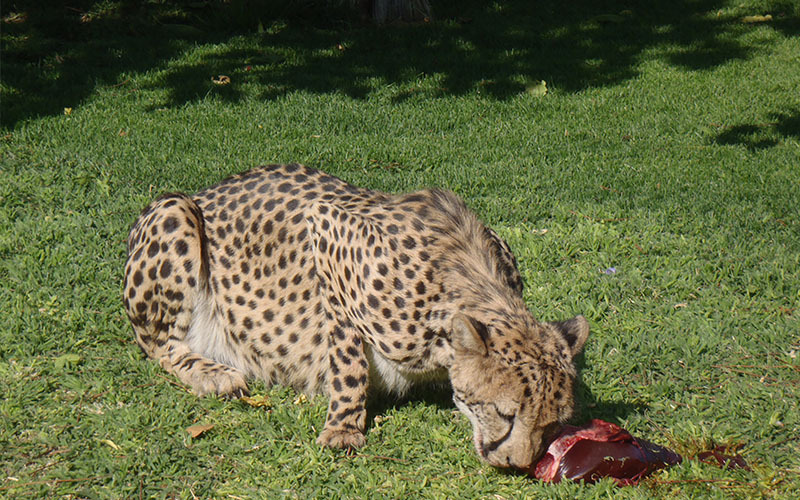 Cheetah Reserve Excursion is done from Tualuka Safari Lodge as a half day excursion. The tour can be combined with an Himba Village tour for a full day excursion. 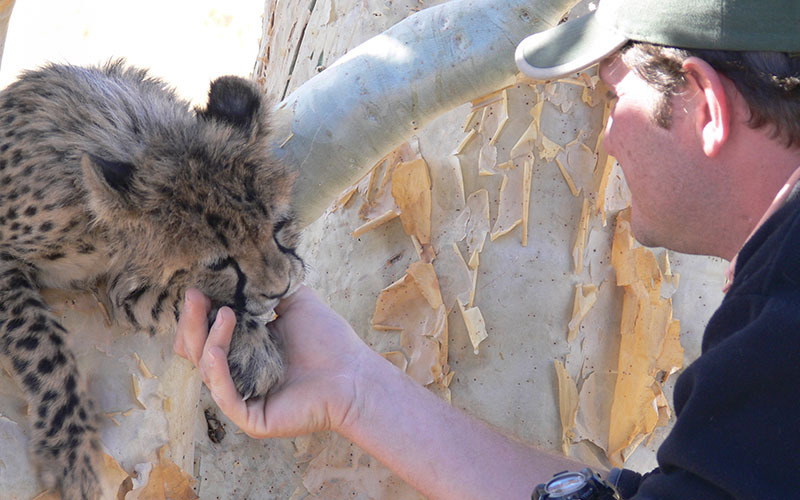 The tour is recommend for Children and is for anyone who is interested in learning more about these amazing African cats. The cheetah is the fastest land animal in the world, reaching speeds of up to 70 miles per hour. They can accelerate from 0 to 68 miles per hour in just three seconds. 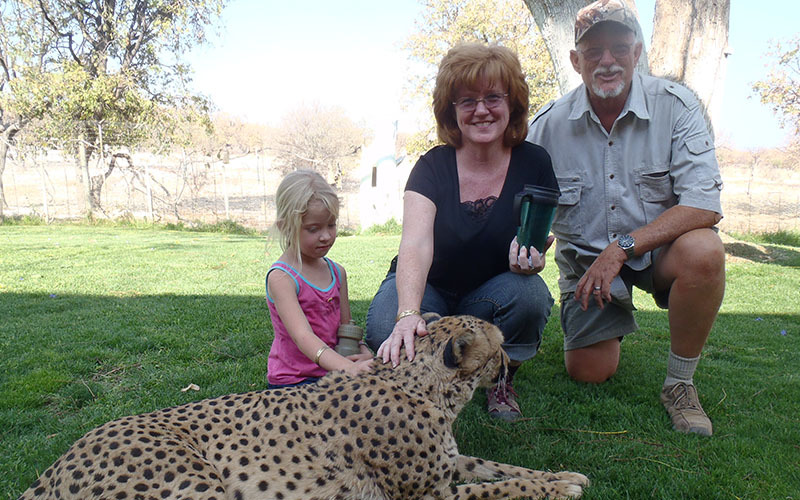 Tollie and Roeleen Nel of Otjitotongwe Cheetah Park are the current owners of the farm, and which had been in the Nel family since 1931. 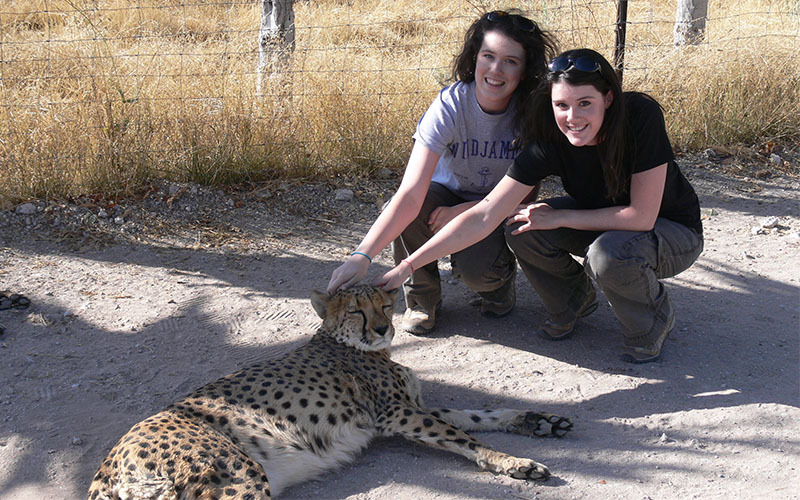 The cheetah farm started due to a shocking 38 of their goats and sheep were killed by cheetahs in a mere month. They trapped the cheetahs and one of them gave birth to 5 baby cubs. 3 cubs survived and the Nel family kept them as pets and raised them with their dog(s). This inspired the family to dedicate their lives works to the preservation of this species. 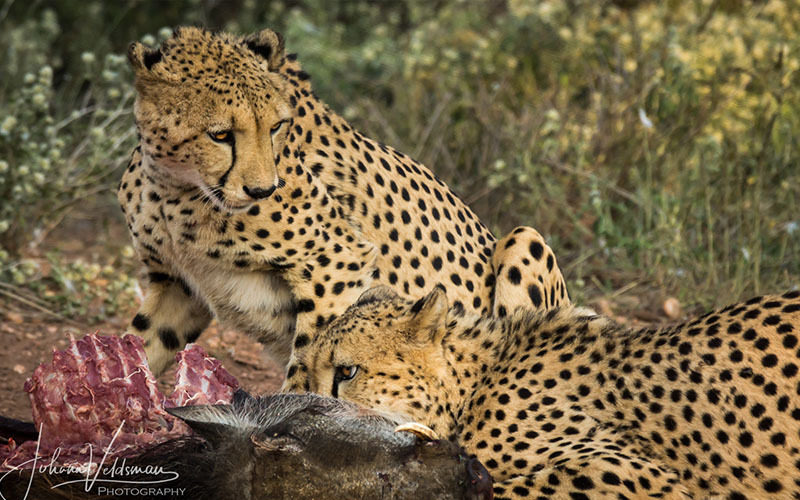 Hence, they established the Otjitotongwe Cheetah Park on their family farm.The park is now an enclosure of 620 acres, holding 25 wild cheetah. 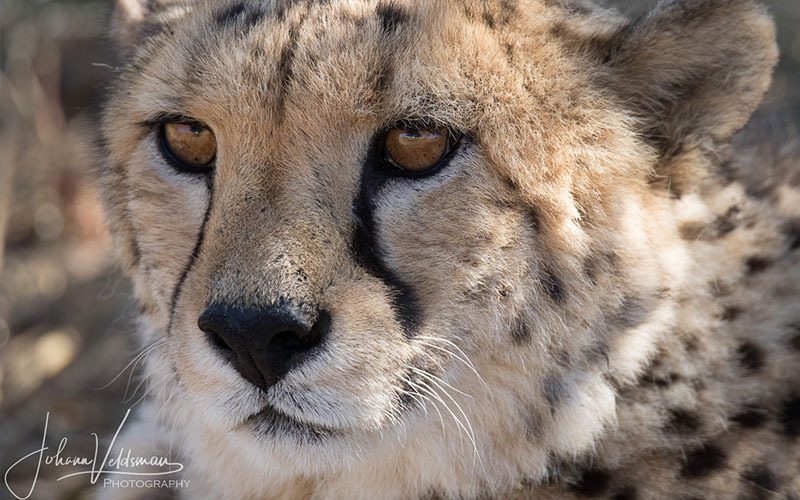 The dark lines under a cheetah’s eyes is to help stop glare and reflections from the sun when locking onto their prey at high speeds. 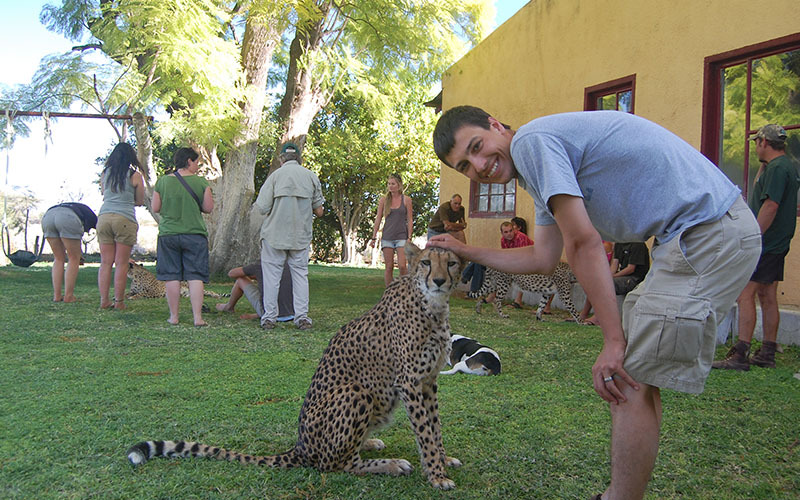 Have the opportunity to feed and touch some tame cheetahs as well as going out into the field feeding the wild cheetahs in the reserve. Great live changing experience!